Ready to Show Off Your Spring Sandals? Hooray! It’s finally sandal season which means we can finally indulge in a little bit of shoe shopping for fresh new spring sandals, wedges and heels! I’ve been waiting for sandal season since February when I got a little shoe crazy. So I’m sure psyched that I’ll be able to share my new spring sandals off soon! In order to wear those cute new spring sandals though, you have to make sure your feet are ready for the critical world view. 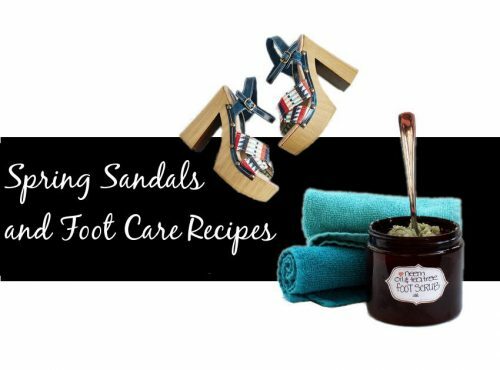 Following are some of my favorite natural foot care recipes to get your feet in shape for sandal season! And don’t forget to shop the latest spring sandal fashions at Amazon! 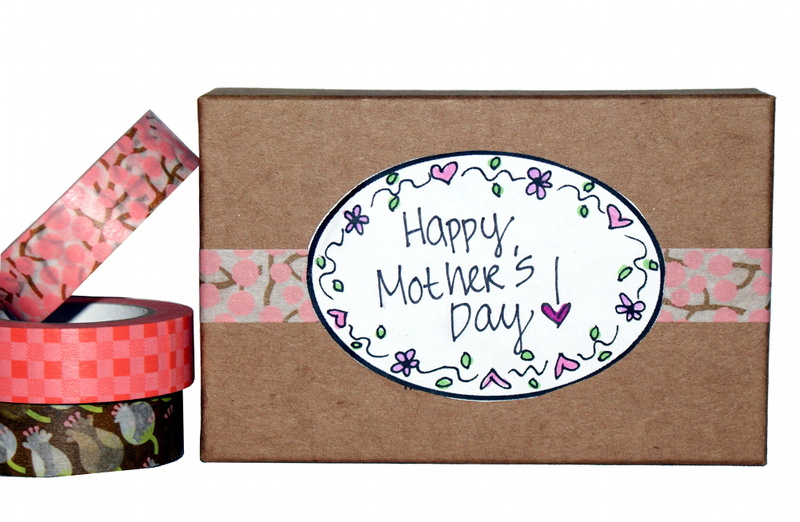 Ready to get your feet in shape while you’re waiting on your new spring sandals to ship? Then consider one or more of these great foot care recipes! Natural Neem Oil & Tea Tree Foot Scrub Recipe – This natural neem oil & tea tree foot scrub recipe helps keep feet looking and feeling great year round! 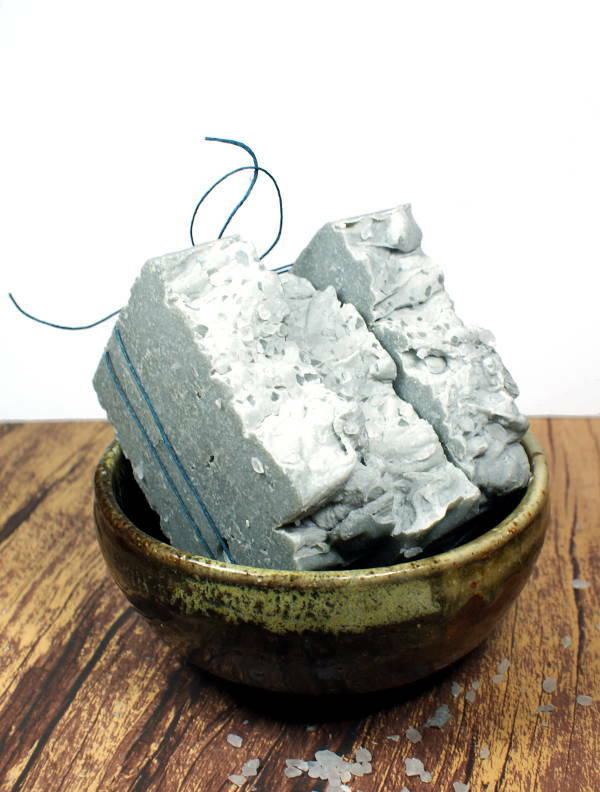 Natural salts and fine ground pumice exfoliate dead skin cells and rough calluses while gentle kaolin clay helps to detox skin. 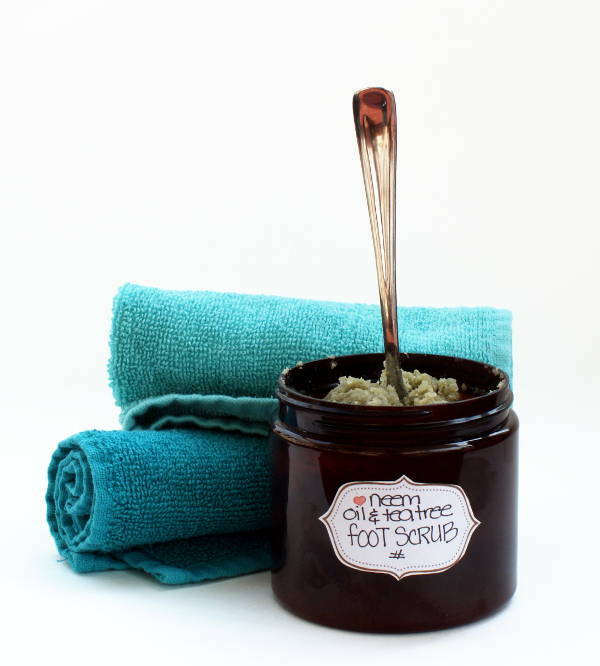 In addition, naturally anti-fungal neem oil and tea tea tree oil work together in this neem oil & tea tree foot scrub recipe to help keep feet fungus free or to aid in clearing up any existing conditions like toenail fungus or athlete’s foot! Natural Foot Repair Salve Recipe with Neem Oil – This natural foot repair salve recipe contains neem oil prized for its strong anti-bacterial, anti-fungal, and natural healing properties to help solve ongoing foot and toenail issues. And, because neem oil is not the most pleasant smelling carrier oil – it has a natural odor reminiscent of a nutty garlic like smell – I’ve added eucalyptus essential oil and your choice of either rosemary or peppermint essential oils that mask the fragrance of the neem oil. Natural Peppermint Foot Cream Recipe – This natural peppermint foot cream recipe is made with natural shea butter, a proven moisturizer and skin protectant, peppermint essential oil to refresh your feet and anti-fungal tea tree oil to keep your tootsies in tip top shape. 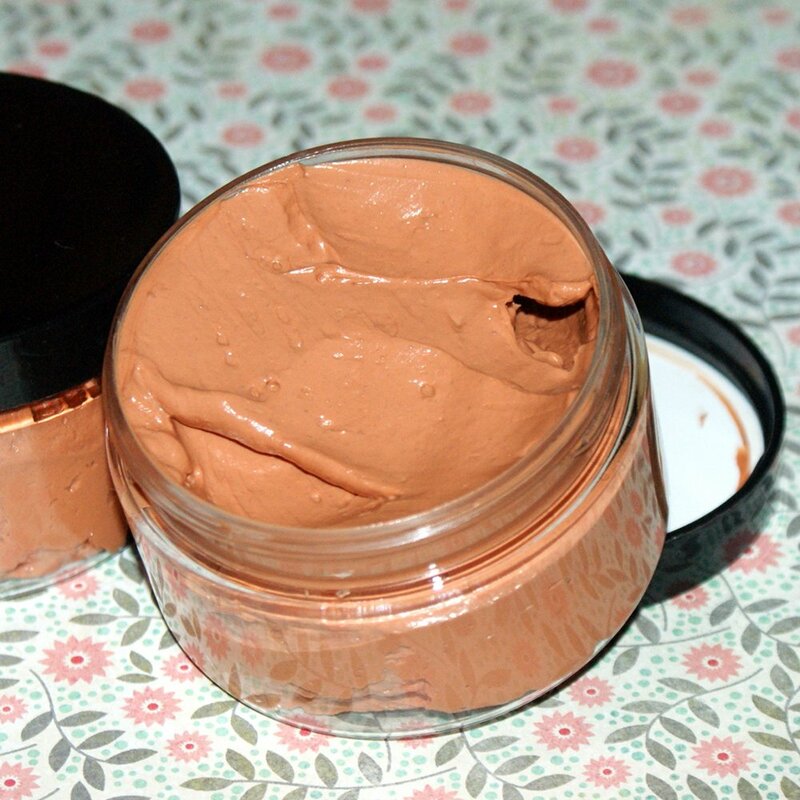 In addition it also contains cocoa butter, sunflower oil and pomegranate seed oil. Natural Soothing Foot Soak Recipe – Give this all natural soothing foot soak recipe a try to soothe achy, tired feet after a long, hot summer day! Made using intensely moisturizing walnut oil, soothing Epsom salt, and cooling essential oils this soothing foot soak recipe is your answer to overworked and tired feet! Simply add to warm water and soak, then follow with a loofah or pumice stone and your favorite natural foot cream or moisturizer. 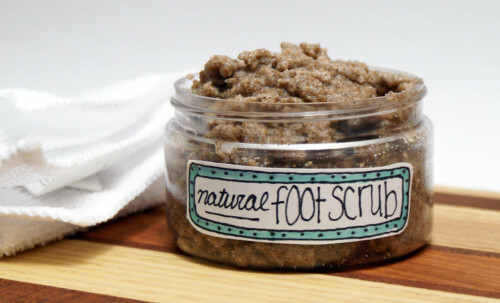 Natural Exfoliating Foot Scrub Recipe – This all natural DIY homemade foot scrub recipe isn’t a mess of slippery oils, but rather a creamy combination of natural shea and cocoa butters, non-greasy argan and sweet almond oils that nourish dry skin. Fine ground pumice and walnut shell powder lend their supercharged exfoliating properties, while sea salt and tea tree oil lend their healing qualities. Plus there’s a touch of peppermint for a fresh, cool scent. Natural Rosemary & Neem Oil Foot Salve Recipe – Treat your feet with my all natural rosemary and neem oil foot salve recipe. It’s perfect for dry and even cracked feet and helps to prevent fungal growth and infections caused by diabetes or ingrown toenails. Peppermint Foot Scrub Soap Recipe – If your feet are in need of some extra love, then you’ll definitely want to add this natural homemade peppermint foot scrub soap recipe to your beauty arsenal! 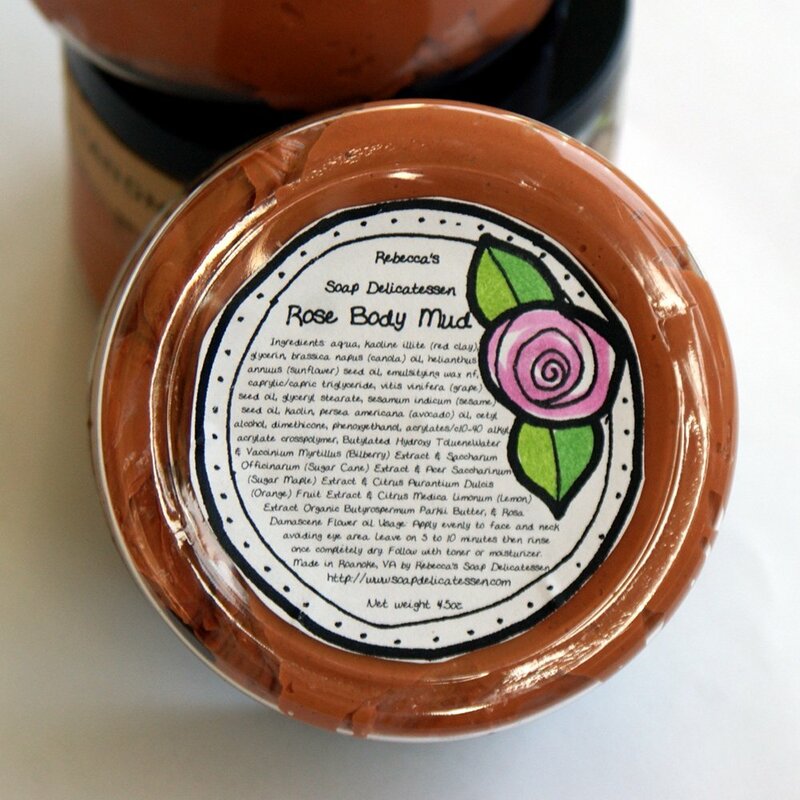 It exfoliates with natural walnut shell powder and fine ground pumice to help keep feet smooth and soft. Don’t just use it during warm months though! 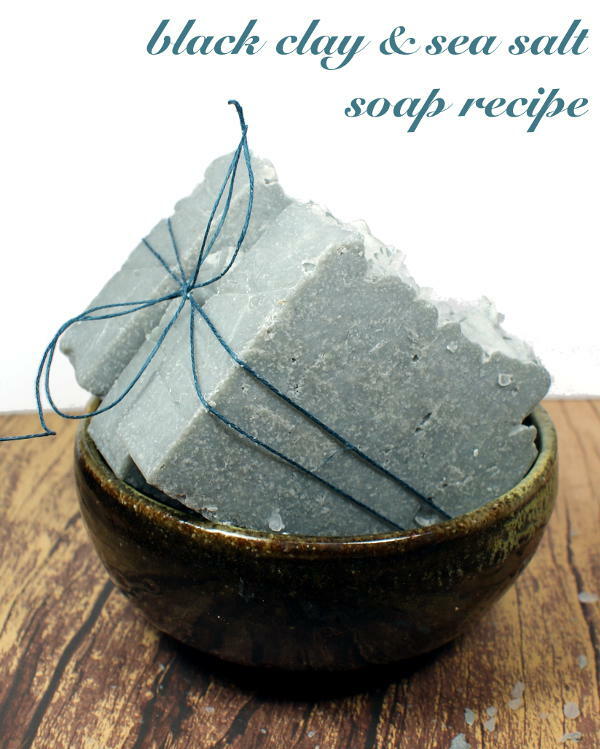 This soap is perfect for skin care use year round for a more beautiful you! 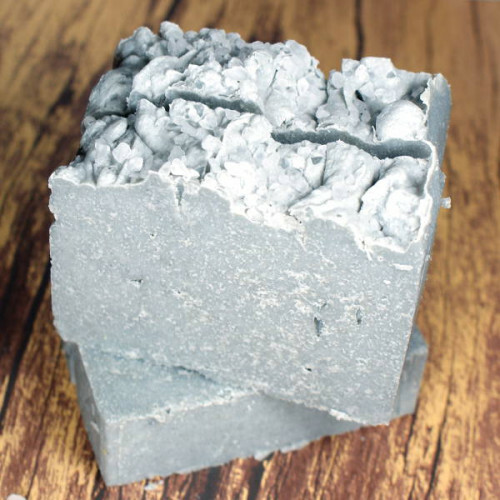 Peppermint Exfolimint™ Foot Soap Recipe – Learn how to make your own naturally exfoliating homemade foot soap recipe that exfoliates with pumice and nourishes with shea butter. Natural Anti-Fungal Toenail Fungus Treatment – This natural toenail fungus treatment clears up unsightly toenail fungus and even cold sores without chemicals. It’s a very effective home remedy. 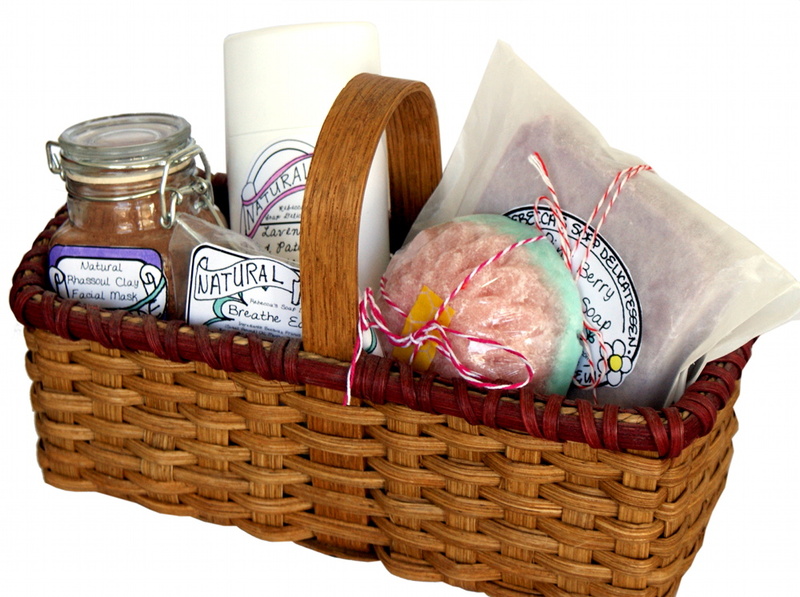 For even more great ideas and natural bath and beauty recipes, follow my boards on Pinterest. You can also find me on me on Blog Lovin’, Tumblr, Facebook, Twitter, G+ and Instagram. With Mother’s Day right around the corner I thought this would be the perfect time to revisit one of my most popular posts for 2011 on how to make solid sugar scrub cubes as they would make lovely homemade gifts. 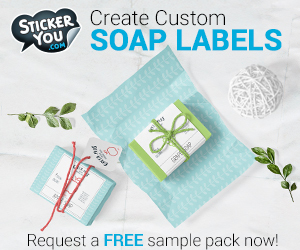 However, this time around, I’m also including free printable labels for your homemade solid sugar scrub cubes – both in black and white and color – so they are even easier to craft, then gift. 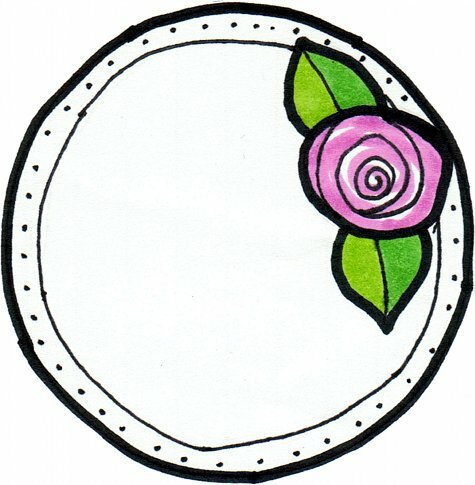 You can either use a silicone loaf pan mold or smaller cavity candy type molds like these pretty silicone rose molds. Cut your your melt and pour soap base into chunks then weigh out amount needed using a digital kitchen scale. Next, melt the glycerin soap base about half way in the microwave or a double boiler. Now, weigh out the shea butter needed and add to your mostly melted soap base and continue heating until thoroughly melted. Once these ingredients are melted, use a Tablespoon measurement to measure out the fractionated coconut oil and your choice of fragrance. Stir these ingredients into the melted shea butter and soap base. In a separate bowl – I use a large one quart Pyrex measuring cup – weigh out the sugar. 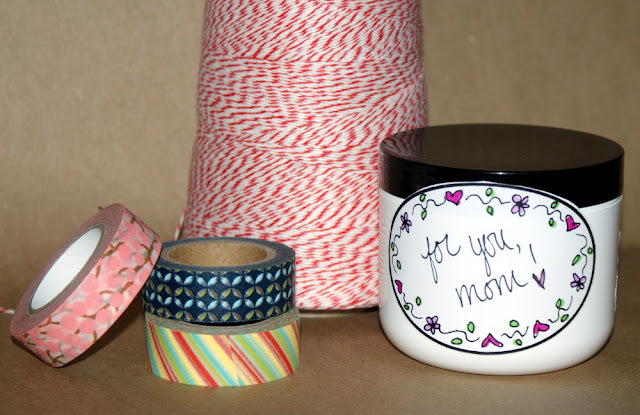 If using a pigment for color, cut in a pinch of color using a butter knife or spatula. 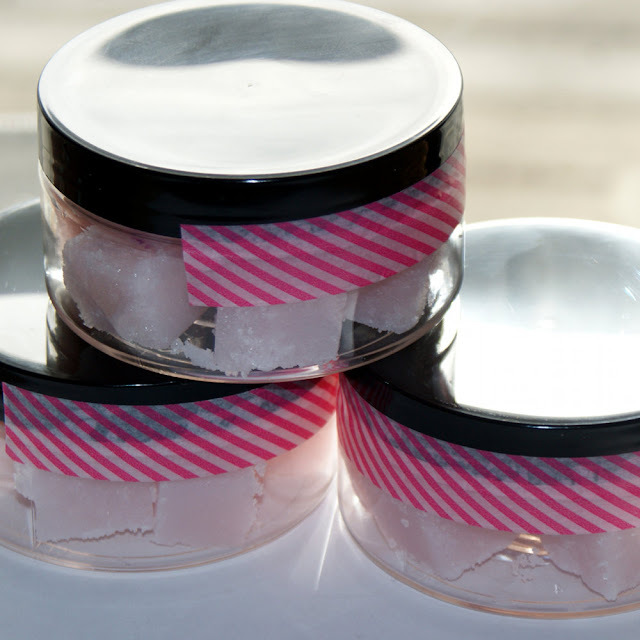 (Keep in mind if your fragrance oil contains vanilla, your sugar scrub cubes will darken and turn brown depending on amount of vanilla content.) Finally, quickly pour the sugar into the shea/soap mixture and mix well. Scoop into your mold(s) and level with a spatula, then place in the refrigerator until solidified. Once your scrub has solidified, gently remove the scrub from the mold(s). If you opted to use a loaf mold, take a Chef’s knife and gently cut the scrub into square cubes. 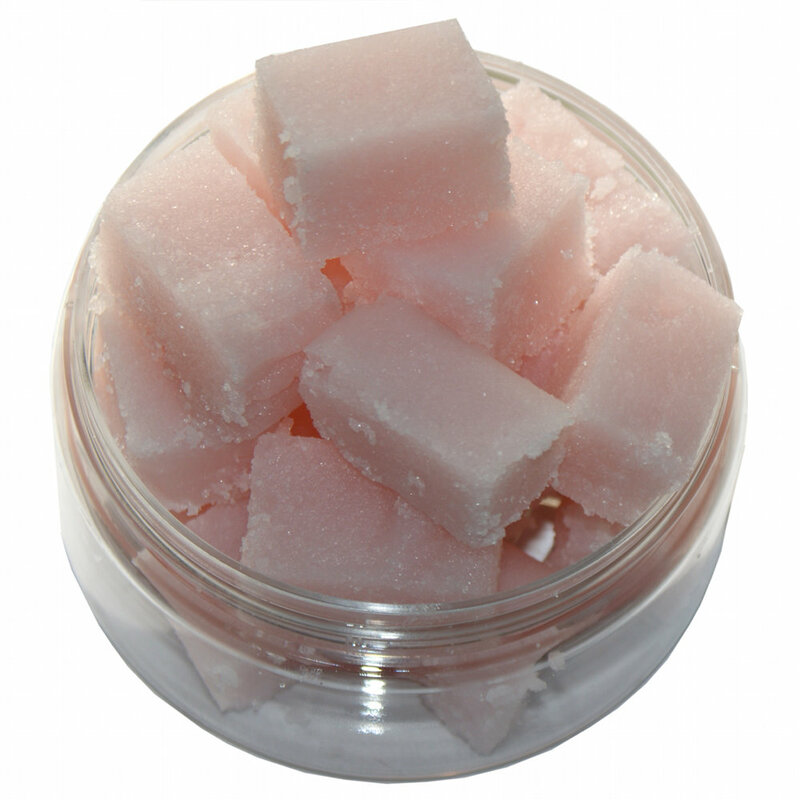 Place your finished solid sugar scrub cubes in an airtight container until use. I used Clear 8oz. Heavywall Low Profile Plastic Jars with lids. Now simply download the labels here, print onto sticker paper and apply the labels to either the lid or the bottom of the jars. To use these scrub cubes, simply crush one or two cubes in your wet hands and slather over your body.